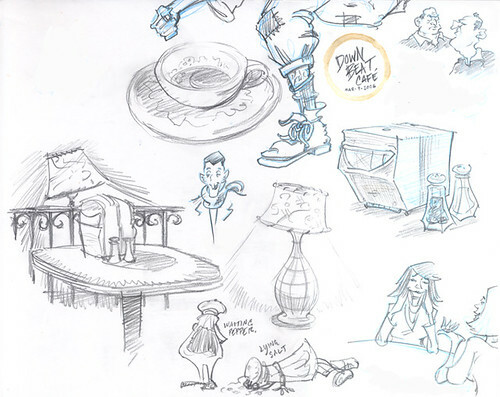 I had a half-hour to sketch while at the Down Beat Café in Echo Park, and these were the results. very nice drawings!! Love the varieties and the energy in your sketches! Thanks Alina! I think you get an award for most comments in the art blogosphere.